I don’t do Windows... but I’ll help your Mac dance and sing! I can come to you ~ or you can bring your troubles to me in Waikiki. Replace your old hard drive with latest solid state drive - 6-8x faster and no moving parts! RAM Upgrade - more power & speed! Email challenges? I can help! 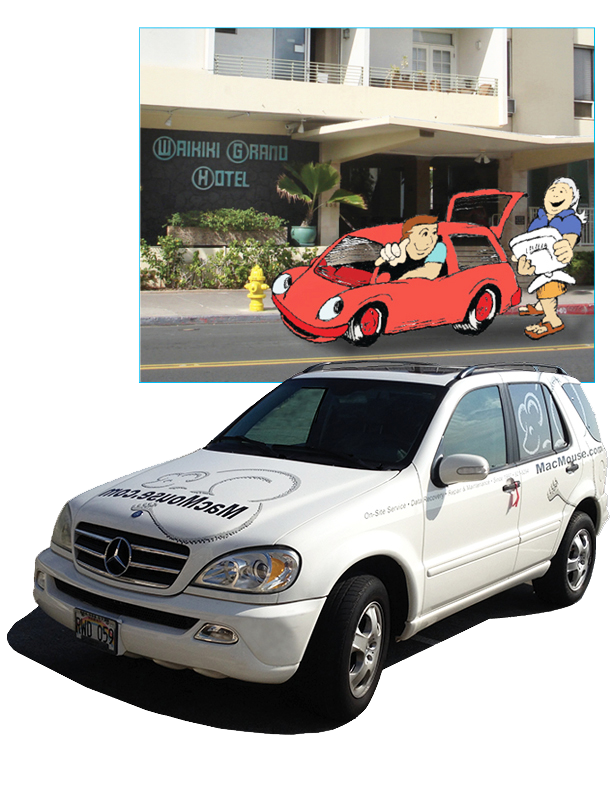 We offer curbside pick-up and drop-off service, or I can come to you!